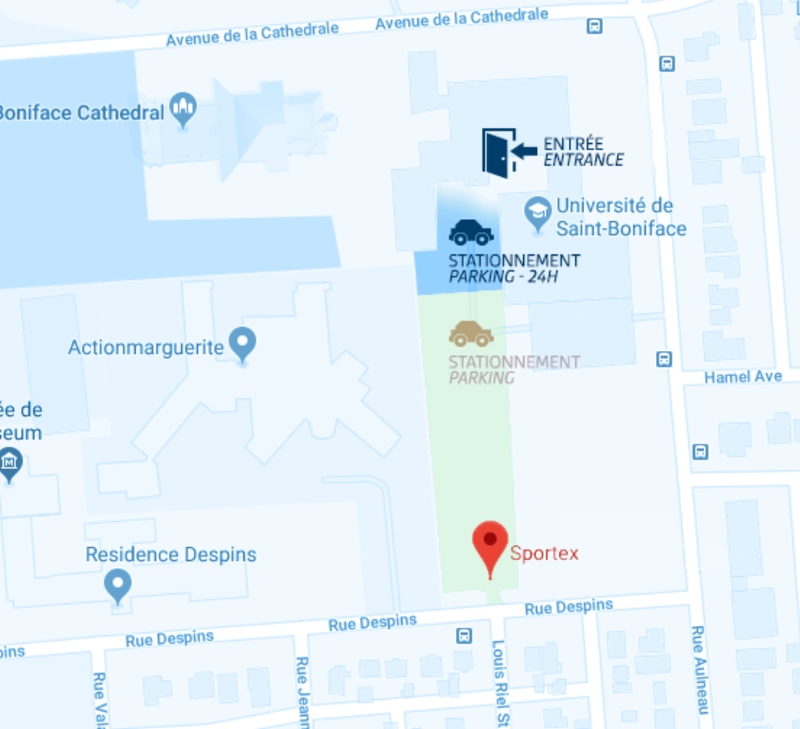 Sportex members get free parking. The lot closest to the entrance offers 24 hour parking. The further lot is reserved from 8:30 am to 5:00 pm from Monday to Friday, but is available to Sportex members outside of these times. Modern and well lit changerooms are made available to Sportex patrons, complete with showers, steam rooms and Z-lockers, all included in a membership. Shower and workout towels are available at the Sportex reception desk at a fee of $10. Members wanting to take advantage of the towel service are given a token, to be exchanged for a towel, and given back once the towel has been returned. A $10 fee is applied for all lost or extra tokens. How does Sportex differ from other gyms? For one, your membership gives you access to all of our regular fitness classes, including yoga, boxing, TRX and spin. See our Programming page for the list and descriptions. Our gym becomes your playground! Play squash, racquetball or try out our fitness room which includes punching bags, a TRX system, a battle rope, and more!